6 weeks to the Connection Festival ! 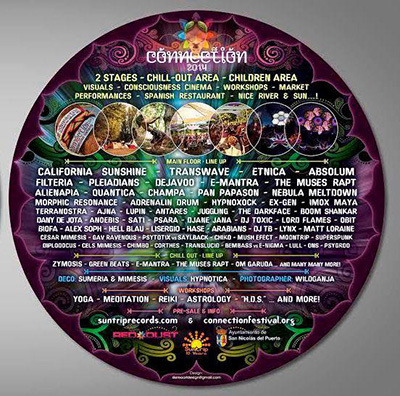 Connection Festival 2014 is almost here; in just 6 weeks from now you'll be able to celebrate the end of the summer and connect with all the people whilst enjoying the wonderful music of all these great artists !! 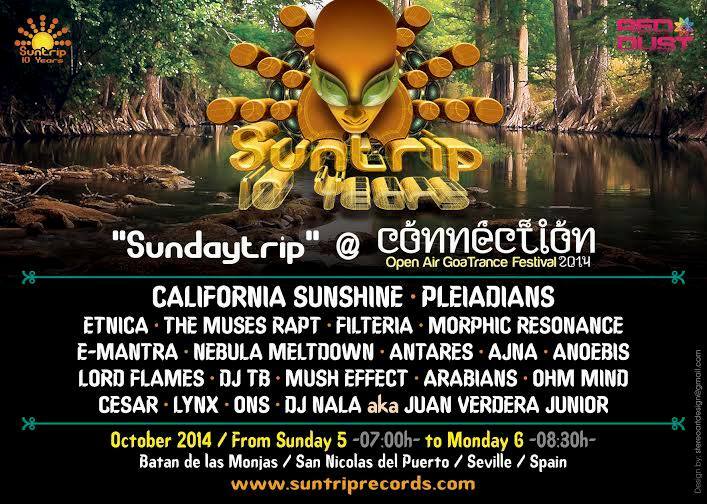 5 Days dancing with Psy/Goa Trance… and the special gift for all your souls… The Suntrip Day. Sunday will be Goa day with many of the best Goa Trance Artists in the world. Let’s do a magic Connection 2014!!! Let’s Connect the World!! !